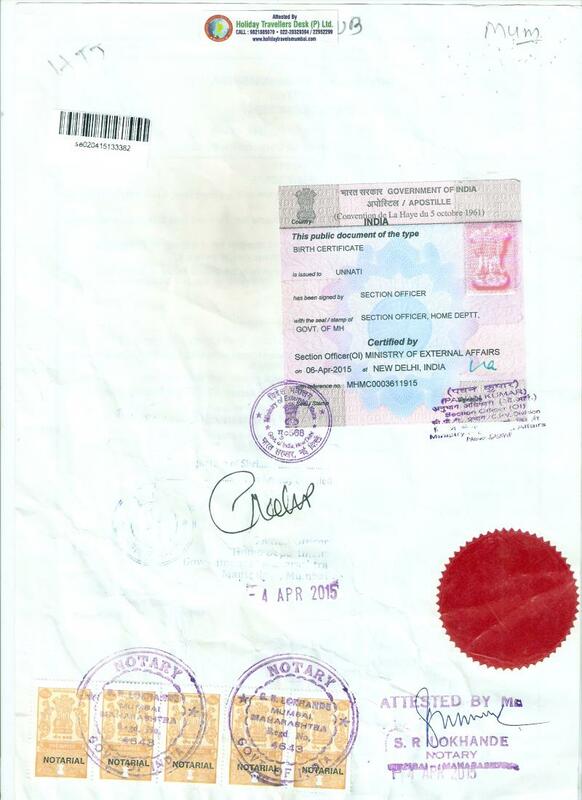 Degree/ Marriage/ Birth/ Death/ Leaving certificate apostille from Mumbai and Pune. 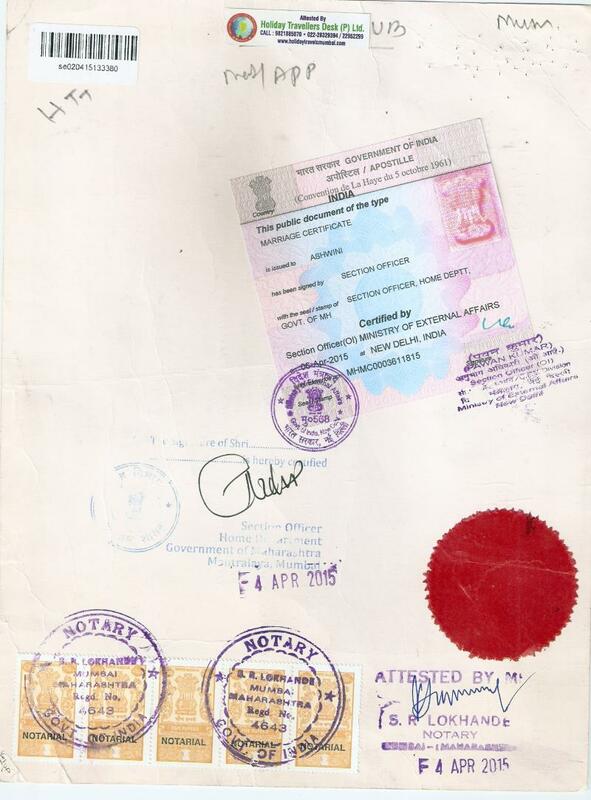 We Provide Apostille Service like Marriage Certificate Apostille/ Birth Certificate Apostille/ Degree Certificate Apostille/ PCC Certificate Apostille/ Passport copy apostille for Switzerland, Canada, USA, Spain, Australia, Italy, Japan, New Zealand, Norway from Mumbai, Pune, Nashik, Solapur, Kolhapur, Ahmedabad, Surat, Valsad. 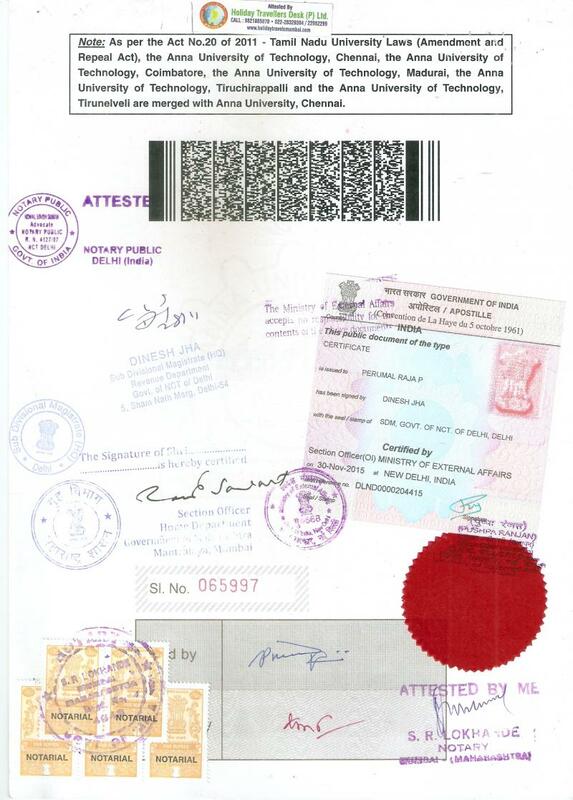 Apostille certificates will be issued in India by Ministry of External affairs located at Patiala House, New Delhi. Apostilles can be obtained on birth certificates, death, power of attorney, marriage certificates, educational certificates and affidavits. Before getting apostille all the concerned documents must be authenticated by regional offices located in every state. Holiday Travellers Desk Pvt.Ltd providing this service of Apostille of certificates Since 2007. It is managed by professionals to give you efficient, fast and reliable services, which is truly unmatched by others and THIS is a challenge. Apostille is the simplified certification of public documents (including notarized), for their international use in all nations that have joined the Apostille Section of the Hague Convention. Signatory countries have agreed under the Apostille Section of the Hague Convention to recognize public documents certified by the “Apostille”. This certification ensures that public documents are valid within the country where the document was originally issued or notarized. The main function of the Apostille is to certify the authenticity of the signature on the document (ie: State Registrar, County Clerk, Judge, Vital Records Officer or Notary Public). The Apostille also certifies the capacity in which the person signing the document acted and the identity of any stamp or seal affixed to the document. The apostille must be issued in the State where the document was issued, or got notarized. The Apostille is a one page document embossed with the Great Seal of a State (see sample image) and includes includes the facsimile signature of the individual issuing the certificate. There are currently over 60 member states of the Hague convention, and in the future, many other countries will join the Apostille Section of the Hague Convention to be able to recognize the Apostille for the international legalization of documents. The Apostille is applied only to public documents, signed by an authority or official connected with a court or tribunal of the State (including documents issued by an administrative, constitutional or ecclesiastical court or tribunal, a public prosecutor, a clerk or a process-server); administrative documents; notarial acts; and official certificates which are placed on documents signed by persons in their private capacity, such as official certificates recording the registration of a document or the fact that it was in existence on a certain date and official and notarial authentications of signatures. Almost every kind of document including: Birth Certificate, Adoption Certificate, Marriage Certificate, Divorce Decree, Death Certificate, Power of Attorney, School Diploma and/or Transcripts, Corporate Documents, Affidavits, Identity documents and/or Passports, Deeds and Wills, Agreements, Bills of Sale, Proof of Ownership, Private Documents. we Provide Apostille in Mumbai for Albania, Andorra Apostille﻿, Antigua Apostille﻿ and Barbuda Apostille﻿, Argentina Apostille﻿, Armenia Apostille﻿, Australia Apostille﻿, Austria Apostille﻿, Azerbaijan Apostille﻿, Bahamas Apostille﻿, Barbados Apostille﻿, Belarus Apostille﻿, Belgium Apostille﻿, Belize Apostille﻿, Botswana Apostille﻿, Bosnia Apostille﻿ and Herzegovina Apostille﻿, Brunei Darussalam Apostille﻿, Bulgaria Apostille﻿, Cape Verde Apostille﻿, China (Macau) Apostille﻿, China (Hong Kong) Apostille﻿, Colombia Apostille﻿, Cook Islands Apostille﻿, Croatia Apostille﻿, Cyprus Apostille﻿, Czech Republic Apostille﻿, Denmark Apostille﻿, Dominica Apostille﻿, Dominican Republic Apostille﻿, Ecuador Apostille﻿, El Salvador Apostille﻿, Estonia Apostille﻿, Fiji Apostille﻿, Finland Apostille﻿, France Apostille﻿, Georgia Apostille﻿, Germany Apostille﻿, Greece Apostille﻿, Grenada Apostille﻿, Honduras Apostille﻿, Hungary Apostille﻿, Iceland Apostille﻿, India Apostille﻿, Ireland Apostille﻿, Israel Apostille﻿, Italy Apostille﻿, Japan Apostille﻿, Kazakhstan Apostille﻿, Korea Apostille﻿,Lesotho Apostille﻿, Liberia Apostille﻿, Liechtenstein Apostille﻿, Lithuania Apostille﻿, Luxembourg Apostille﻿, Malawi Apostille﻿, Malta Apostille﻿, Marshall Islands Apostille﻿, Mauritius Apostille﻿, Mexico Apostille﻿, Moldova Apostille﻿, Republic of, Monaco Apostille﻿, Montenegro Apostille﻿, Namibia Apostille﻿ , Netherlands Apostille﻿, Netherland Antilles Apostille﻿, New Zealand Apostille﻿, Niue Apostille﻿, Norway Apostille﻿, Panama Apostille﻿, Peru Apostille﻿, Poland Apostille﻿, Portugal Apostille﻿, Romania Apostille﻿ , Russian Federation Apostille﻿, Saint Kitts Apostille﻿ and Nevis Apostille﻿, Saint Lucia Apostille﻿, Saint Vincent Apostille﻿ and the Grenadines Apostille﻿ , Samoa Apostille﻿, San Marino Apostille﻿, Sao Tome Apostille﻿ and Principe Apostille﻿, Serbia v, Seychelles Apostille﻿, Slovakia Apostille﻿ , Slovenia Apostille﻿, South Africa Apostille﻿ , Spain Apostille﻿, St. Marteen Apostille﻿, Suriname Apostille﻿, Swaziland Apostille﻿, Sweden Apostille﻿ , Switzerland Apostille﻿ , The former Yugoslav Republic of Macedonia Apostille﻿, Tonga Apostille﻿ , Trinidad Apostille﻿ and Tobago Apostille﻿, Turkey Apostille﻿, Ukraine Apostille﻿ ,United Kingdom of Great Britain (U.K) Apostille﻿ and Northern Ireland Apostille﻿, United States of America Apostille﻿, Vanuatu Apostille﻿, Vatican City Apostille﻿ and Venezuela Apostille﻿. Certificate Apostille is also done on URGENT basis from Delhi with the facility of 4th day delivery of Marriage Certificate apostille,Birth Certificate apostille and Degree Certificate apostille. Marriage Certificate apostille from Pune for Visa, Birth Certificate apostille from Mumbai for Visa, Birth Certificate apostille from Pune for Visa. Degree Certificate apostille for Oman, Marriage certificate apostille for Oman. 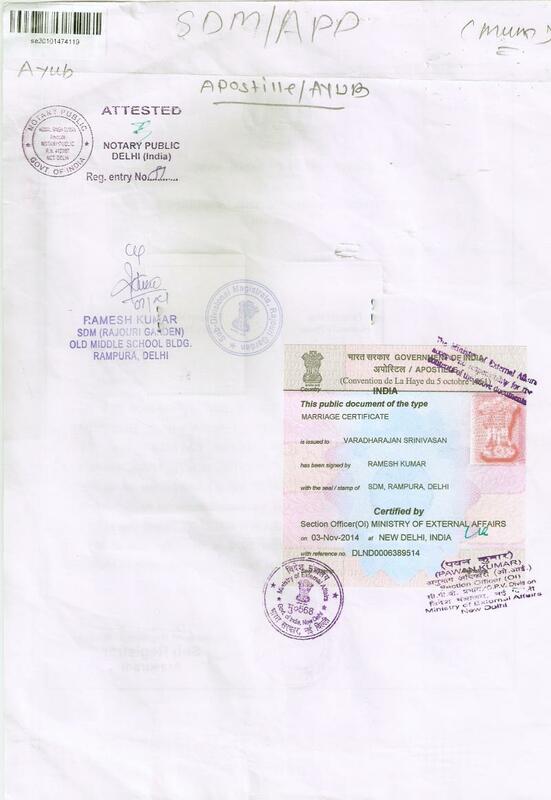 Degree Certificate/ Birth Certificate/ Marriage Certificate apostille in Ahmednagar, Aurangabad, satara, Kolhapur, Sangli, Ratnagiri, Kolhapur, Ichalkaranji. Degree Certificate/ Birth Certificate/ Marriage Certificate apostille in Dapoli, Furus, Mahad, Satara, Mahabaleshwar, Pen, Mangao,Vir apostille agent. Degree Certificate/ Birth Certificate/ Marriage Certificate apostille in Nagpur, Nasik, Aurangabad, Jalgao, Nandurbar, Dhule, Jalna, Beed, Nanded, Usmanabad, Buldhana, Akola, Parbhani, Latur, Yavatmal, Washim, Gadchiroli, Solapur, Ahmednagar, Wardha, Gondia, Chandrapur, Ichalkaranji, Sangli. Degree Certificate/ Birth Certificate/ Marriage Certificate apostille in Kottayam, kerala, Kochi, Munnar, Thiruvananthapuram, Kozhikode, Thrissur for Visa agent in India / apostille service. Degree Certificate/ Birth Certificate/ Marriage Certificate apostille in Rajkot, Patan, Kuchchh, Rann of kuchchh, Jamnagar, Amreli, Porbandar, Junaghad, Surendranagar, Mehsana, Patan, Sabarkantha, Gandhinagar, Kheda, Panchmala, Dahod, Vadodara, Bharuch, Narmada, Surat, Navsari, Dangs, Valsad, Daman, Dadra Nagar. Birth certificate apostille in surat, Birth certificate apostille in vadodara,Birth certificate apostille in Ahmadabad is attestation agent in Gujarat. Degree Certificate/ Birth Certificate/ Marriage Certificate apostille in Udupi, Mysore, Mangalore, Chitradurga, Bijapur, Belgaum, Bagalkot, Dharwad, Karwar, Bidar,Yadgiri, Raichur, Koppal, Gadag, Bellary, Haveri, Davangere, Shimoga, Chikmagalur, Tumkur, Chickbulapur, Hassan, Coorg, Kodagu, Mandya, Bangalore, Kolar, Chamrajnagar . Pudukkottai, Thanjavur, Thiruvarur, Sivaganga, Virudhunagar, Ramanathapuram, Thoothukudi /apostille agent in Tamil Nadu /agency. Degree Certificate apostille/ Birth certificate apostille / Marriage certificate apostille in Pimpale, Nilakh, Chakan, Danori, Sangavi, Balewadi, and Dopodi for apostille service agency. 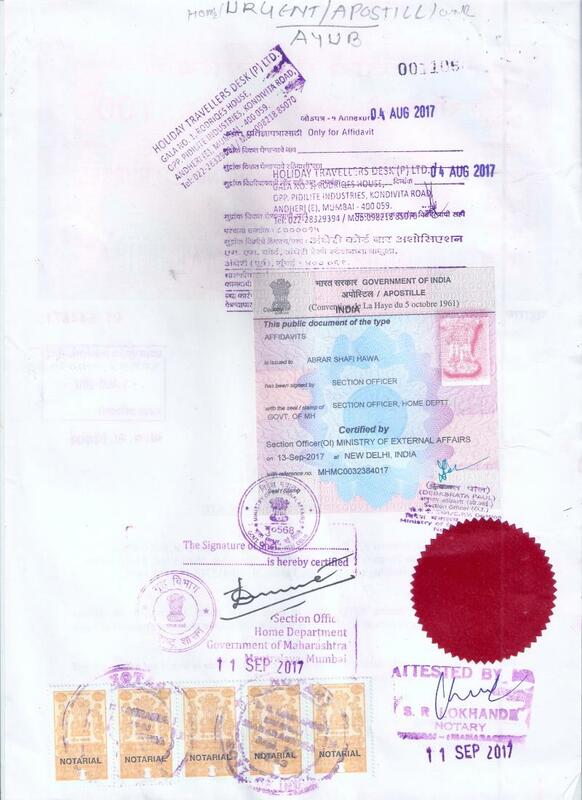 Degree Certificate apostille/ Birth certificate apostille / Marriage certificate aapostille in Kalas, Lohagaon ,Baner, Aundh, Khadki, Yerawada, Viman Nagar, Kharadi, Raj Bhavan, Pashan, Sutarvadi, Tanajivadi, Kalyani Nagar. Wanavadi, Mohamadwadi, Kondhave, Katraj, Wadagaon, Dhanakvadi, Hingane, Warje,S hivne. Degree Certificate/ Birth Certificate/ Marriage Certificate apostille in Vashi, Sanpada, Juinagar, Nerul, Seawood, Belapur, CBD, kharghar, Manasarovar, Khandeshwar, Panvel. Degree Certificate/ Birth Certificate/ Marriage Certificate apostille in CST, Masjid, Sandhurst Road, Dockyard Road, Reay Road, Cotton green, Sewri, Vadala Road, GTB Nagar, Chunabhatti, Kings Circle . Degree Certificate/ Birth Certificate/ Marriage Certificate apostille Thane, Airoli, Rabale, Ghansoli, Koparkhairne, Turbe, Sanpada. Degree Certificate/ Birth Certificate/ Marriage Certificate/ Leaving Certificate apostille in Vidyavihar, Ghatkoper, Vikhroli, KanjurMarg, Bhandup, Nahur, Mulund, Thane, Kalva, Mumbra, Kausa, Diva Junction, Koper, Dombivali Thakurli, Kalyan, Vithalwadi, Ulhas Nagar, Ambernath, Badlapur, Vangani, Shelu, Neral, Bhivpuri Road, Karjat, Palasdhari, Kelavli, Dolavli, Lowjee, Khopoli. 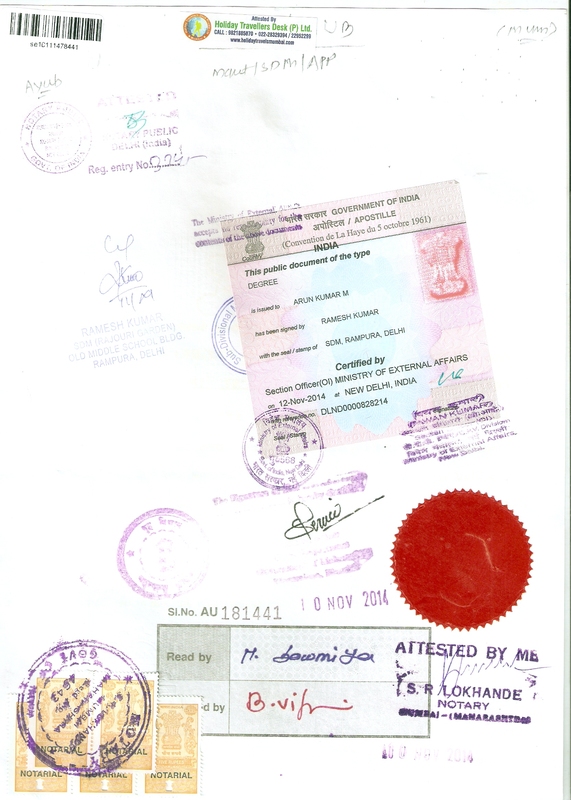 Degree Certificate/ Birth Certificate/ Marriage Certificate apostille Shahad, Ambivli, Titwala, Khadavli, Vasind, Asangaon, Atgaon, Khardi, Kasara. 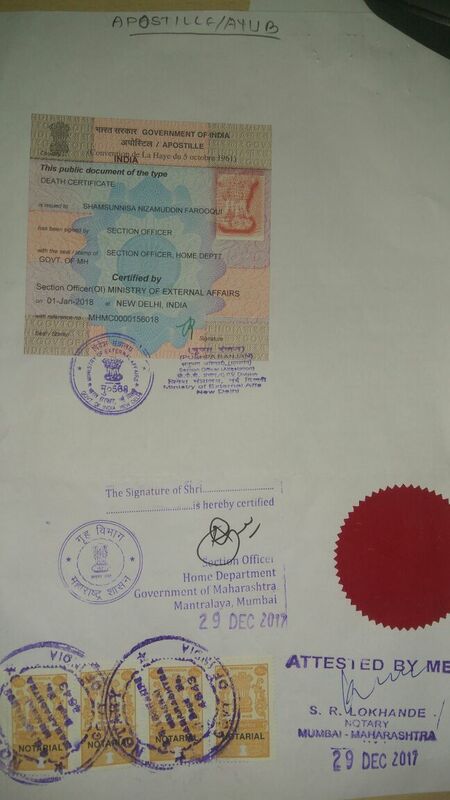 Degree Certificate/ Birth Certificate/ Marriage Certificate apostille from Churchgate , Marine Lines, Charni Road, Grant Road , Mumbai Central, Mahalakshmi, Lower Parel, Elphinstone Road, Dadar, Matunga Road, Mahim Junction, Bandra, Khar Road, Santa Cruz, Vile Parle, Powai, MIDC, SEEPZ, Sakinaka, Marol. who can apostille a document﻿. apostille attestation accepting countries in the world﻿. what countries require an apostille﻿. hague convention apostille participating countries﻿. apostille services in navi mumbai﻿. marriage certificate apostille in ahmedabad﻿. legalization of documents in france﻿. department of state apostille certification﻿. how to get an apostille birth certificate﻿. apostille services in orlando florida﻿. legalization of documents in italian embassy﻿. ministry of foreign affairs malaysia address﻿. ministry of foreign affairs malaysia working hours﻿. apostille services in san antonio texas﻿. apostille services in new york﻿. pune apostille attestation legalization services pune, maharashtra﻿. Apostille Services in Thane, Ghodbunder Road, Sainath Nagar, Thane, Maharashtra﻿. 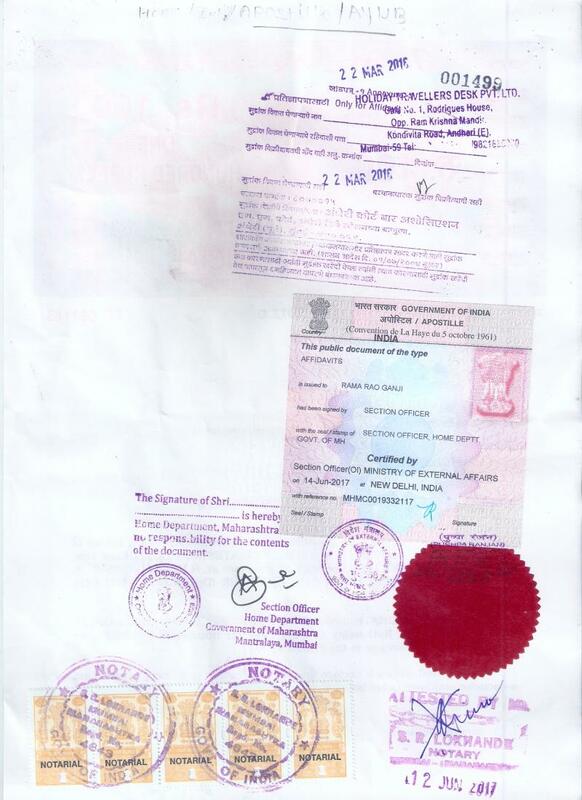 birth certificate apostille service in pune﻿. pec attestation and apostille services pune, maharashtra﻿. death certificate apostille florida﻿ . degree certificate apostille in ahmedabad﻿. birth certificate apostille for netherlands﻿. legalisation of birth certificate for netherlands﻿. birth certificate legalization process in india﻿. is birth certificate required for netherlands visa﻿. apostille stamp birth certificate netherlands﻿. We Provide free doorstep service.